A cultural, creative and chic city, Vienna is an impressive showcase of European history and imperial grandeur that has played out across the city’s 23 districts over the centuries. 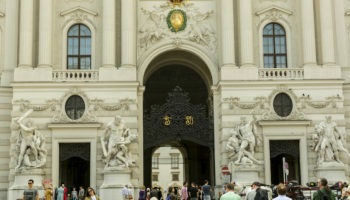 Walk the beautifully baroque streets, wander the majestic palaces and admire the artistic treasures and then take a break to sip fresh coffee in a classically Viennese coffee house, or cold beer in the many pubs and bars, and finish off your days by devouring goulash or luxuriating in elegant eating in one of the many stylish eateries. Vienna’s neighborhoods are unique in their own right, each offering tourists a view into the lives of locals and a slice of the varying communities that call the city home. It’s an exciting urban sprawl of aesthetic invention and can easily be traversed by the network of trams, metro and buses. There are interesting markets to explore that have come to be known for the array of international goods on sale, and then there is the trendy regeneration that has seen the coffee house culture expand and flourish. It is time to start planning your trip to this cultured capital so we’ve rounded up the best places to stay in Vienna so that you to make the most out of your break to the Austrian capital. If it’s your first time in Vienna and you only have a few days to spare then Innere Stadt – which literally means inner city – is the perfect base for your trip. Old cobbled, winding alleyways and iconic churches make up the the city’s old town, and it is here where you will find Vienna’s designer shopping and famous old restaurants that have been feeding the city’s inhabitants for generations. Innere Stadt isn’t the most budget friendly destination, but its central location will allow you to make the most of the city’s fantastic sightseeing opportunities as many of the top sites are in walking distance, or can be reached by easy access to the Vienna metro. Grand Hotel Wien – Elegant and understated glamour make this historic hotel a wonderful place to stay in the city. The interiors are decorated in classical Viennese style, with plush furnishings, high ceilings, ornate fabrics, and top facilities. If you can tear yourself away from the opulence of the Grand Hotel, the Vienna’s Opera house and the famous Kärntner Straße shopping street are just two minutes away. On returning to the hotel, staff will greet you with a smile. You’ll also have the option of relaxing in the large hotel spa or dining in one of the hotel’s restaurants. Hotel de France Wien – Centrally located in the 1st district of the city, Hotel de France Wien is situated on the famous Ringstraße and is close to sights of the city, including St Stephen’s Cathedral and Hofburg Palace – plus there’s a metro station just 50 meters away. It’s a 5-star palace of a hotel that features refined rooms dripping with contemporary furnishings; there are even multi-level suites available for extra luxury. If you’re hungry, there are two restaurants here, including a sophisticated Japanese offering. Hotel Capricorno – Housed in a recently renovated 1950’s apartment building and boasting modern interiors with luxe finishes, this design-conscious hotel features rooms and communal spaces that have been stylishly decorated and are kept exceptionally clean. Staff are very helpful and polite; they greet guests with a city map and are often on hand with local recommendations and directions. Hotel Post Wien – A traditionally Viennese building which opened in 1900 houses this 3-star hotel. It’s laid back here and the rooms are simple, suiting unfussy travelers, with fittings, fixtures, and furnishings that aren’t all about luxury, but functionality. As for the location, being so central means that major sights are within comfortable walking distance and public transport is easy to come by. There’s a breakfast buffet offered here. If you feel like a night at the opera the Wiener Kammeroper is right next door. 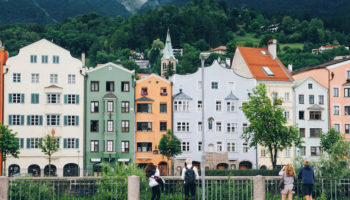 Vienna’s Leopoldstadt district is the greenest area in the city, the neighborhood is home to leafy streets sandwiched between the river Danube and the Danube Canal. A big draw to the area is Prater Public Park, the 1500 acres of green space which includes beer gardens and the iconic Riesenrad Ferris Wheel. There is even a sandy beach along the Danube Canal where, in the summer, locals spend sunny afternoons lazing with family and friends. 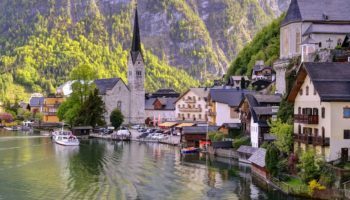 Accommodation is made up of stylish mid-range hotels as well as more high-end options, but the local transport links are excellent and many of the top tourists sites can be accessed on foot. Hotel Stefanie – Staying in this hotel is like being transported to another time. Walk through the main doors and enter a vintage world of a Vienna from the past, oozing rich history and classical interiors which reflect the Hotel Stefanie’s impressive 400-year history. This hotel is actually the oldest in Vienna and works hard to impress guests with updated rooms and impressive service; there are plenty of antiques on display and lots of interesting museum pieces to lose yourself in. Head outside and back into the modern day on the metro, which is just 300 meters from the front door. Der Wilhelmshof – Designed by artist Ty Waltinger, Der Wilhelmshof is a stylish option for staying in Vienna. It’s chic, tastefully designed, and perfect for anybody looking for a touch of cool, artsy style when they’re away. As you’d expect, the rooms here are contemporary and full of bright, design-led touches, with plenty of color pops going on. The hotel itself is family-run and offers a free breakfast each morning; the summer garden terrace is lovely. Just under five minutes’ walk to the nearest metro, there’s also the leafy Prater Park nearby. If you have a tight budget then Landstrasse is the perfect location for your stay in Vienna as it has some fantastic low-cost hotels. 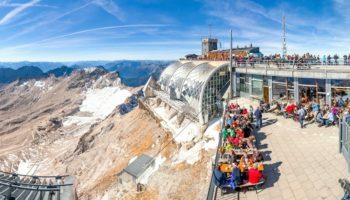 It may not be the coolest area, but what it lacks in style it makes up for in convenience and low cost; the train from Vienna airport stops at Landstrasse station and many of the city’s top tourist sites are in walking distance from this third district. Landstrasse is also home to many impressive embassy buildings and baroque architecture and also where you will find more curious creations by local Viennese artist, Hundertwasser. 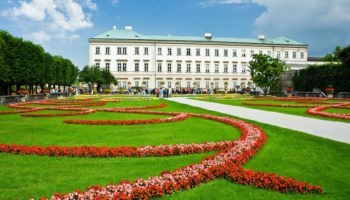 There is some green space in the district at the grand Belvedere’s Palace, where visitors can take a walk in stunning baroque gardens. Hilton Vienna – Located in a great location for exploring the city, this hotel is just across from Stadtpark, a quick stroll to the busy Wienmitte shopping plaza, and close to markets and Wollzeile Street. Inside the hotel, you’ll find a modern and comfortable place to stay, with higher rooms boasting fantastic views across the city. The hotel’s restaurant is decorated in Murano glass and serves high-end Austrian and international cuisine. Hotel Spiess & Spiess – Elegant and sophisticated, this hotel is set in a storied historic building dating all the way back to 1890 (but there’s a modern part to it too). However, it’s not just about the building; the rooms, of course, are luxurious. These include flat screen TVs, stylish décor, and even heated floors – some include fireplaces and balconies. For extra luxury, you can order room service. There’s a train station just a few minutes’ walk away, so although this 4-star offering is tucked down a quiet side street, Stephansplatz is a five-minute train ride away. The trendy Wieden district is where you will find Vienna’s cool young crowd. This multicultural corner of the city is jam packed full of delicious food, boasting dining options to cater to everyone’s diet. If you are into the local fashion scene, Wieden is also where you will find Viennese fashion boutiques selling original designs, alongside second hand bookshops and vintage furniture. There is a large student community in the district meaning there are many pubs and restaurants; enjoy a drink in the convivial laid back atmosphere as evening falls along Schönbrunnerstrasse. Many bars and clubs in the district are also LGBT friendly. Take some time to wander the small Chinatown too, where you can pick up cheap snacks. If you want somewhere fun and local to stay with a range of cool and affordable accommodation then Wieden is the place for you. 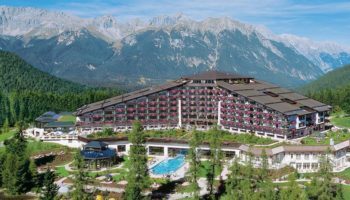 Hotel Erzherzog Rainer – This traditional hotel is an extremely friendly and welcoming place, with helpful staff that create a comfortable atmosphere. Housed inside a building that dates back over 100 years, there’s an impressive spiraling staircase that leads guests to the rooms, which are clean and cozy. Situated away from the busy center of the city, it’s very close to a metro stop and only a ten-minute walk to the Opera. The hotel restaurant is a great place to sample traditional Viennese dishes, and in the summer months, guests can dine on the terrace. Drei Kronen Hotel Wien City – The rooms at this 3-star hotel feature some wonderful period features, making it feel extra refined. That’s because it’s set in a beautiful Art Nouveau-style building that was built in 1897 – fans of architecture will love it here; there’s even a classic Viennese staircase to climb. 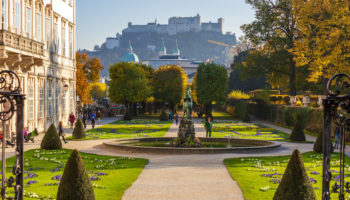 There’s a train station just a few minutes’ walk from Drei Kronen Hotel Wien City, making it quite simple to get around and see the sights of the city, but there’s also a lot of shopping, dining and drinking options just on the doorstep. Vienna’s central fifth district of Margareten is a multicultural corner of the city. Boasting the fascinating Naschmarkt, which is located along the Wein River, the bazaar that sells amazing food items from all over the world; from spices to exotic fruit and even wine, the market is the place to come if you want to pick up some speciality food. There is also a busy flea market in Margareten and is a very popular spot for tourists, especially at the weekend. The district is home to a lot of design-led businesses and there is a developing art and design scene in the area. The rise in new business is bringing new life to Margareten and also brings a lot of entertaining sites for visitors to see in the area; take a walk and explore the area of foot and you will find yourself stumbling on some hidden gems. Hotels are comfortable and convenient, especially if you choose to stay near the metro that runs through the district. Austria Trend Hotel Ananas Wien – This is a great hotel for travelers who want to explore the city with ease on public transport; there is a metro station in front of the hotel. Rooms at this hotel are decorated in a low-key and modern style, with natural tones and wooden floors. The hotel restaurant and cafe serve great coffee and freshly baked pastries as well as Viennese dishes. 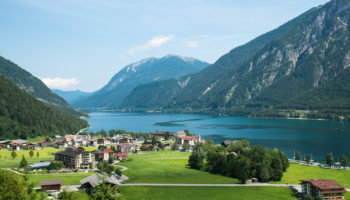 The central location is great, plus the Wientalradweg bicycle path runs just outside the hotel. The buzzing and delicious Naschmarkt food market is five minutes away on foot. Mariahilf is a slice of real Viennese life where you can find out about the authentic everyday people of the city. The district is known for its shopping which is at its best along the pedestrianised Mariahilferstrasse, which holds the title of the busiest shopping street in Vienna – and which conveniently connects with the Westbahnhof, the second biggest train station in the city. The area surrounding the main shopping street is dotted with chic boutiques and trendy cafes where you can take a break from all of the retail therapy. Mariahilf has both upscale hotels and hostels, the cheaper accommodation being closer to the border to Margareten or along the Mariahilferstrasse, which has some good hotels at great prices and easy access to the train network. Leonardo Hotel Vienna – Clean and contemporary, Leonardo Hotel Vienna might not be right in the center of town, but it is very close to the large Wien Westbahnhof train station, which means that getting around the city is easy. However, there are restaurants and bars nearby. Back at the hotel, there’s a bar, a gym, and a stylish restaurant to enjoy. The rooms here are lovely, but if you upgrade, not only do you get more space, you also get access to an exclusive lounge on the 8th floor! Hotel Fürst Metternich – Dating back to 1896, this traditional hotel is situated along a subdued side street close to the Mariahilfer Straße. Rooms feature big beds, large windows, and high ceilings and are finished with soft carpets and patterned wallpaper. A world of calm and comfort, the essence of the Art Nouveau building can be seen throughout the hotel, especially in the twirling and ornate grand banister. Guests can enjoy drinks and cigars in the charmingly old-world wooden interiors of the hotel bar. Cool Neubau is full of cafes, bars, bakeries, restaurants, local designer boutiques and charming terrace cafes called schanigartens that are found along attractive cobbled lanes. The vibe around here is local but welcoming and is much less touristy than more central districts; here is where you can spend days shopping in small organic markets and eat at well priced restaurants. Neubau is also home to the MuseumsQuartier, where visitors can take in the huge cultural complex with its amazing museums and art galleries. 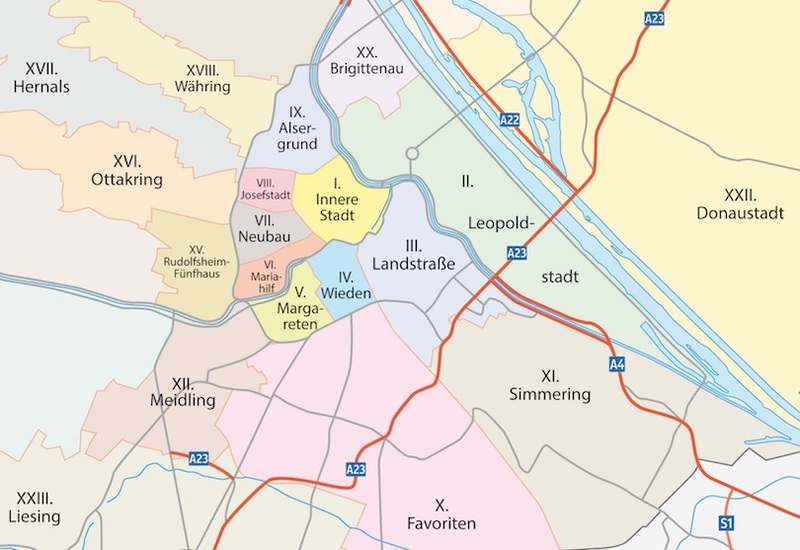 There are a number of hostels in Neubau with the cheapest hotels being closer to the Westbahnhof train station, which also means easy access to the train network, although the rest of the district is also well connected by bus and tram. NH Collection Wien Zentrum – Chic and contemporary, staying at NH Collection Wien Zentrum means being situated on Mariahilfer Straße, complete with as many shopping and dining opportunities you could wish for. It’s also just a ten-minute walk to Wien Westbahnhof train station. The hotel is cool and sleek and the rooms here are extra spacious – there’s even a huge mural painted on the front of the building. This family-friendly hotel features a cool dining room where they serve up a hearty buffet breakfast each morning. Ruby Marie Hotel Vienna – This design-oriented, sleek and stylish hotel is uniquely located in a former department store. Using the large spaces and modern structure, the whole hotel has been meticulously designed with a focus on comfort and creative use of space, with a range of rooms on offer – from budget doubles to loft suites. Featuring a rooftop terrace with fantastic views, a bar with touches of 1930’s style, and even the chance for guests to rent guitars and amplifiers, this is a forward-thinking hotel a stone’s throw from the metro and the Museumsquartier. Quiet and authentic Josefstadt is untouristed and laid back. The area consists of many playgrounds and family friendly spaces where affluent locals mix with the student community. The peaceful streets reveal the local life of Vienna with lots of small shops and family restaurants next to hipster hangouts and theaters. Josefstadt has many quality accommodation options with hotels housed in luxury 18th century townhouses, but along with the traditional there are also plenty of modern and chic places to stay too. The city’s excellent metro stops here too and offers easy connections to the rest of the city. Hotel Alpha Wien – This 3-star hotel is laid back and contemporary and features rooms that are compact but clean; the staff here are professional and will help make your stay an enjoyable one. The location of Hotel Alpha Wien is great, with the historic buildings of Josefstadt to explore just on the doorstep. There’s a U-Bahn station just a few steps away from here, too. As a bonus, this simple hotel features a free continental buffet breakfast. 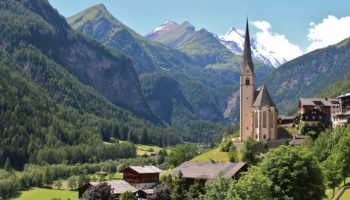 Cultural Alsergrund is where you will find the old master painting of Palais Liechtenstein and the experimental theatre at Volksoper or the Schauspielhaus. The long boulevards lined with stylish 19th century buildings make up Vienna’s 9th district. Sigmund Freud once lived in Alsergrund – his old residence is now the Freud Museum. There are some fun beer gardens to spend time in, nestled in the 17th century courtyard of the Altes Complex. The area around the district’s university caters to the student community and is a great place to stay on a budget if you like liberal nightlife and live music. Riess City Hotel – Set in a historic building and recently renovated under new ownership, this hotel consists of smartly designed single and double rooms for a simple, unfussy stay in a well-connected district of the city. Here, you’ll be just five minutes from the Ringstraße, but there are sights and other slices of culture within just a few steps of the hotel. Favoriten is Vienna’s 10th district and is where much of the city’s immigrant population have settled and made the area their home. There are many restaurants that serve food from countries such as Turkey, Bosnia and Serbia, and interesting shops have opened selling wares from various nations. 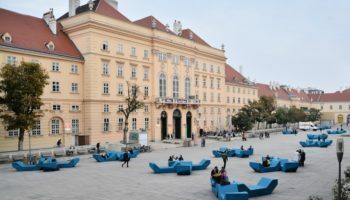 While its true that it isn’t the most attractive district in Vienna, it is actually a great place to stay on a budget; there are easy tram and train links that connect to the city centre, and visitors who stay here will certainly be learning about modern day Austria and the future of the country. Motel One Wien-Hauptbahnhof – It may be called a motel, but this offering in Favoriten is actually a pretty sleek place to stay in Vienna on a budget. With contemporary, chic interiors and tastefully design-led style, Motel One is a hipster-friendly accommodation situated very close to Wien Hauptbahnhof train station – the main railway hub for the city. Guests can stay in rooms that ooze modern luxury, featuring balconies and rain showers – iPads can even be rented for free! For a slice of culture, the museum complex at Belvedere is an easy walk away.